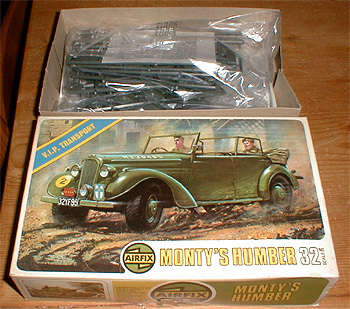 With this superb kit we introduce a completely new series of 1/32nd scale Vehicles. For this first model we have chosen a military version of the early 1940's Humber Super Snipe. These cars were used extensively as staff cars for top military personnel during the Second World War. They proved very tough and reliable and were used, not only in Europe, but also in the North Africa Desert Campaign. The kit contains 133 parts and appropriate transfers.